Health care recruitment professionals turn to NAHCR to enhance their career success and advance in their profession. 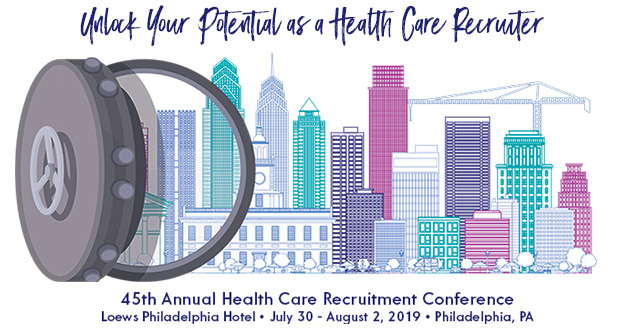 NAHCR offers Certified Health Care Recruiter (CHCR) credentialing, best practices resources, free webinars, articles by leading experts, networking with peers and an annual conference. NAHCR delivers the specialized and unique content you need to keep up with the changes in health care and remain a leader in your field. Where can you get "one-stop shopping" in today's hectic health care world? At NAHCR, that's where. We have the best network out there, member-to-member and also via a quick call to our National Office. With chapters nationwide, you can get "connected" to another member in any region who can help you or find a variety of resources by calling our headquarters. Hear from NAHCR members about the benefits of joining NAHCR. Active Members are those individuals who are actively involved in health care recruitment, retention or human resources. Federal Members are those individuals who are recruiters or human resource professionals in any organization owned and operated by the Federal Government, such as a VA Hospital. Dues are $150 per calendar year (January 1 - December 31) and entitle you to all the benefits and programs NAHCR offers. In addition, Active and Federal members may vote and are eligible to serve on the NAHCR Board of Directors. Are you part of a health care organization with 5 or more recruiters? You may be eligible for the group tiered discounts! Companies or divisions of companies whose sole business is placing traveling health care professionals are also eligible for Vendor membership. Individuals associated with permanent personnel placement agencies (search firms, headhunters) are eligible for Vendor membership subject to approval by the Board of Directors. Search firm applicants are responsible for securing a reference from an Active NAHCR Member. Associate Membership is open to former Active Members who no longer meet the criteria for Active Membership and other professionals in associated industries who do not meet the criteria for Active Membership. Associate Membership cannot be used as a substitute for Vendor Membership. Associate Members shall be ineligible to vote as members or hold office in this Association. Dues are $90 per calendar year (January 1 - December 31). Associate members may serve on committees and benefit from all member services, but they may not vote and are not eligible to serve on the NAHCR Board of Directors. Need a letter for your employer? Click here for a membership renewal justification letter. Share your commitment to NAHCR with your peers and earn valuable rewards. NAHCR members who refer new Active or Federal Members receive a $15 Amazon gift card. Eligible referrals include health care recruiting professionals who have never been members of NAHCR or whose memberships have been lapsed for more than one year. Need talking points or marketing collateral to help spread the word? Email [email protected].